I like to say I’m retired, but I’ve never been busier. A hundred and fifty colonies keep me occupied. 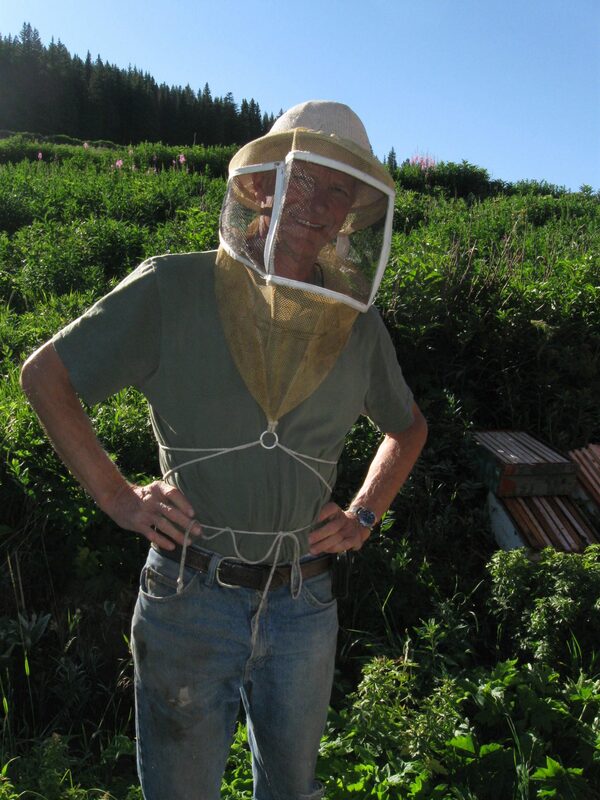 That, and my duties as president of the Colorado State Beekeepers Association. For a couple of months prior to the December state meeting in Greeley, I’d wake up at 3 a.m. and worry. This was actually productive. In the middle of the night, I realized that I hadn’t talked to Dr. Meghan Milbrath, our keynote speaker, since last Summer. It hit me that I’d put the wrong venue address in my newsletters. At the eleventh hour, I realized that I’d spaced out the door prizes. I can be really good at avoiding my responsibilities during the day, only to take them up in the wee hours. I grew up in Greeley, but I left a half-century ago. It’s changed, and it hasn’t. I could barely find my way around. Grove island Park, where we held our meeting, is in the old part of town. Houses here could use a coat of paint, most of them, and gentrification is not a problem. You can find authentic Mexican food on almost any block. There are striking murals on many of the downtown buildings. I mused about living there again. I graduated from College High School in Greeley, a laboratory school for teacher training at what was then called Colorado State College. College High was a quasi-public school. You could get in if you had a parent who taught at the college, or if you applied and got lucky, or you were a jock. Reggie had buck teeth and an attitude. He transferred to College High my senior year. He’d gotten kicked out of another school for fighting. He got the red carpet treatment at my school, because he was a quarterback with an arm. Our principal, “Old Chrome Dome,” wanted a state championship, and he got one. Reggie started off the school year by challenging virtually all the boys at school to fight. He got no takers. I watched Mr. Longwell, my English teacher, decline Reggie’s invitation to “step outside.” Reggie got away with anything. I was scared breathless of him then, and I still am. I was reminded of this in Greeley in December, when it occurred to me I might run into him on a street corner. He’s likely dead by now, or at least harmless, but you never know. Meghan is smart, and she can be funny. She gave two talks – one on how to select for bees that are naturally resistant to Varroa mites and a second on creating late summer nucs, a presentation she calls, “How to never buy bees again!” The night before her talks, she inquired if we had a “no treatment” contingent at CSBA. “Of course,” I said. All the bee clubs do. “I’m wondering if I’m going to offend anyone,” she said. “Go ahead,” I said. “Give ‘em hell!” She liked it when I said that. In her first talk, Meghan compared bee husbandry to caring for any animals. She gently admonished the faithful to be responsible bee guardians and not allow their mite-ridden hives to become honey bee Typhoid Marys. She didn’t preach the need for treating every hive for Varroa. Rather, she encouraged our members to monitor their hives for Varroa infestation. She advocated treatment if and only if the mites reached unacceptable thresholds. 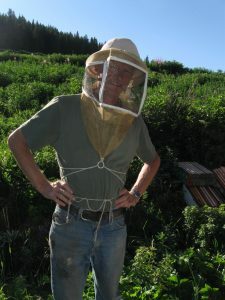 That way you can save the bees, re-queen with hopefully mite-resistant stock, and try again. Eventually you might drastically reduce your dependence on in-hive chemical treatments. Shouldn’t that be every beekeeper’s goal? It’s the queen who transmits resistance or susceptibility to mites. 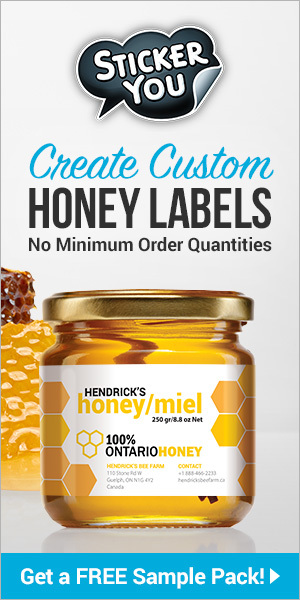 To the live-and-let-die beekeepers who think they’re helping bees by letting most of their colonies get overrun by mites, Meghan has an answer. 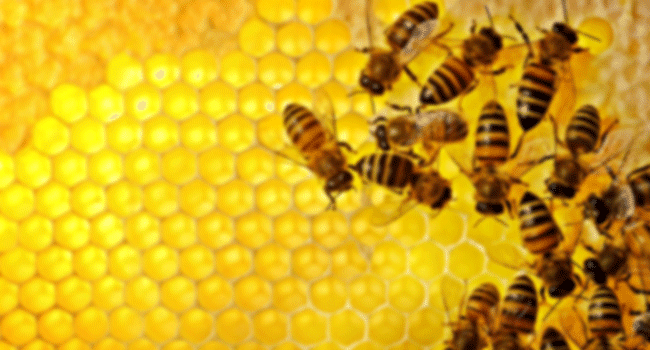 Why would you sacrifice tens of thousands of your bees, when it’s all the queen’s fault? And why would you allow your dying, mite-infested bees to become your neighbor beekeepers’ problem? Meghan likes to over-Winter nucs, either by insulating them or storing them indoors. She divides mature colonies into smaller ones and pops in new queens. She wonders why anyone would rely on Spring packages to replace winter losses, when late Summer nucs overwinter so well. Come Spring, they’re rarin’ to go, often outperforming Spring splits. After supper that evening, I said, “Meghan, let’s go skiing.” We settled on Arapahoe Basin, partway home for me and an easy drive back to Denver for our distinguished speaker. Meghan’s half my age. She used to ski patrol at Stevens Pass, Washington, where you can wear out your arm throwing explosive charges for avalanche control, and you get to ski in the rain. We rendezvoused at A-Basin on a bitter cold day, dressed for the North Pole. I wore three hats. Meghan bought her ticket online the day before, so there was no backing out for rotten weather. That’s the way it should be. We shared the runs with a few hundred die-hards and Meghan’s poet friend Russ. On the lift we talked bees. I felt wistful when we parted. Ah, to be young, to follow your heart, to live your dream. Meghan turns ‘em left and right. And she knows bees.